Following his critically acclaimed debut novel, Deadly Portfolio: A Killing in Hedge Funds, author John J. Hohn offers Breached, a suspenseful, fast-paced sequel. The story is set in the Blue Ridge Mountains of North Carolina where Detective James Raker meets up with an old high school classmate. Their reunion, however, is interrupted by murder. Gunned down is state dam inspector Norm Dennison who dies before he can prove to the homeowners around Lake Hannah that Vernon Brost, a developer, has launched an elaborate scheme to defraud them. The threat to Brost’s plans does not go away with Dennison’s death, however, as Dennison’s widow turns over the dead man’s files to Art Nichols, a Lake Hannah resident and a friend of the retired detective, James Raker. Thugs ransack Nichols’ home to recover the documents. Not finding them, they decide to break into Raker’s home where they are surprised by Raker’s girl friend, Diane Welborn. Welborn is knocked unconscious and the house is set ablaze. Together Nichols, a Viet Nam veteran, and Raker begin tracking down the intruders. Welborn is hospitalized in serious condition. While in a coma, she recalls her painful childhood, her unsuccessful first marriage and her struggles to find fulfillment after her divorce. Raker’s concern for her injuries drives him in his pursuit of her attackers. 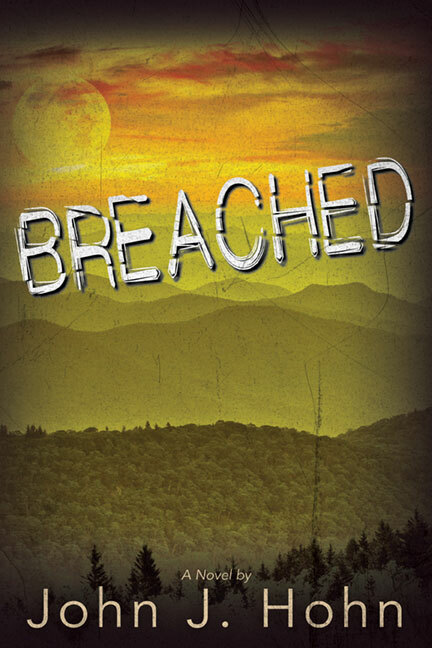 Breached is a fast-paced realistic literary mystery with a sharp focus on character development. You will leave feeling positive about the way things work out and even perhaps enlightened. But expect no easy, pat formulae. One of the best things about this book is how steadily it rejects conventional truisms. I loved the little jab at Robert Frost. John Hohn is a wise and worthy builder. I started reading this author’s new book with great expectations. I wasn’t disappointed. While his first book, Deadly Portfolio: A Killing in Hedge Funds, was good, this one is better. Breached is more an example of mixed genres, both psychological thriller and mystery. Hohn’s expansion of personal drama and inclusion of several characters beyond the norm has greatly enhanced this second novel. My favorite of the two… He’s shown great empathy in creating all of his characters, giving them a life of their own, that allows readers to become much more involved. In the end, writing is about enriching the lives of those who read (his) work. John Hohn has taken a new turn, proving himself decidedly capable of delving into seriously breached personalities. This reader is deeply appreciative of his efforts. Breached. In the the spirit of a P. D. James novel, Mr. Hohn takes the reader to the depths of any number of psychological issues relevant to our times. This is the kind of book you will look forward to settling down with every night and feel some regret when arriving at the final page. BREACHED has all of the essential elements for a novel of this genre—riveting plot, well-developed characters, and snappy dialogue. Also, throw in a complex conspiracy. The story is as much about the characters as it is about the mystery. Copyright © 2019 John J. Hohn All Rights Reserved. Site Design by Monkey C Media.